The idea of making homemade yogurt may look a bit complex but it is not as complex as it seems. All you need is a quality whole milk and a starter of some kind. In this recipe, I used two heaping tablespoons of plain Yogurt from a store-bought Yogurt as my starter. Boil milk, cool, add yogurt, leave in the oven for a few hours and that is basically it! ⏩Stir in the starter culture. Make sure to completely dissolve in the Milk. ⏩Cover it up with a tight-fitting lid and keep in in the Oven with the light on for 6 to 12 hours depending on how tangy you want it to be. ⏩Chill in the fridge for about 2 hours or more before serving. ⏩Serve with your favorite flavoring. Enjoy! WHY DO YOU NEED TO BOIL THE MILK BEFORE MAKING YOGURT? The biggest reason to heat milk to almost boiling before fermenting is that it improves the texture of the yogurt. During fermentation, the bacteria consume lactose and produce lactic acid which causes the milk proteins to denature and coagulate trapping most of the fat. The proteins involved are primarily the casein proteins. When this happens, there is still quite a bit of protein left that isn’t bound up in the new casein mesh. All of the albumin proteins are water soluble and will not add to the structure of the yogurt. These albumin proteins denature when you heat them. For this reason, recipes universally call for us to heat the milk to 190 and then cool. The albumin is denatured and is able to tangle up with the casein during fermentation and add to the yogurt structure. IS MAKING YOUR OWN HOMEMADE YOGURT COST EFFECTIVE? Making your own homemade yogurt will save you very when it comes to monetary value, but it’s good to make it at home at least once in a while not just because it tastes so much better but it provides more active cultures which are highly beneficial to the health. Most of the commercial yogurts aren’t incubated/cultured properly and then need fillers to make them thick. 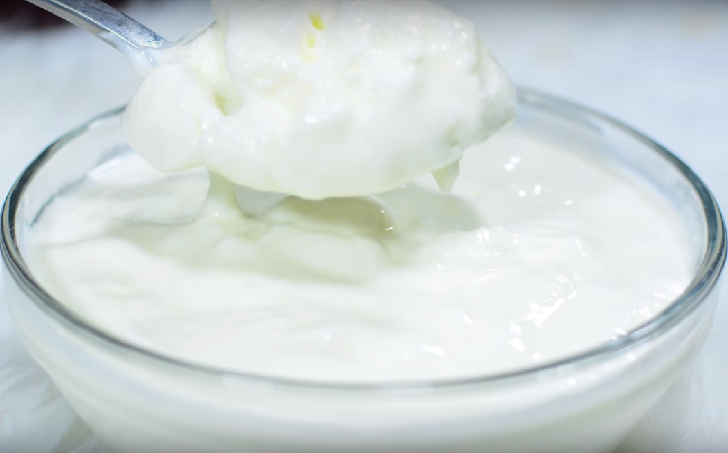 HOW DO YOU GET A THICK AND CREAMY HOMEMADE YOGURT? Keeping a consistent temperature and leaving the Yogurt undisturbed between 105-110º will yield a thick, creamy and sweet Yogurt. If possible, leave it overnight and if you still want it thicker, simply strain it with a cheesecloth.